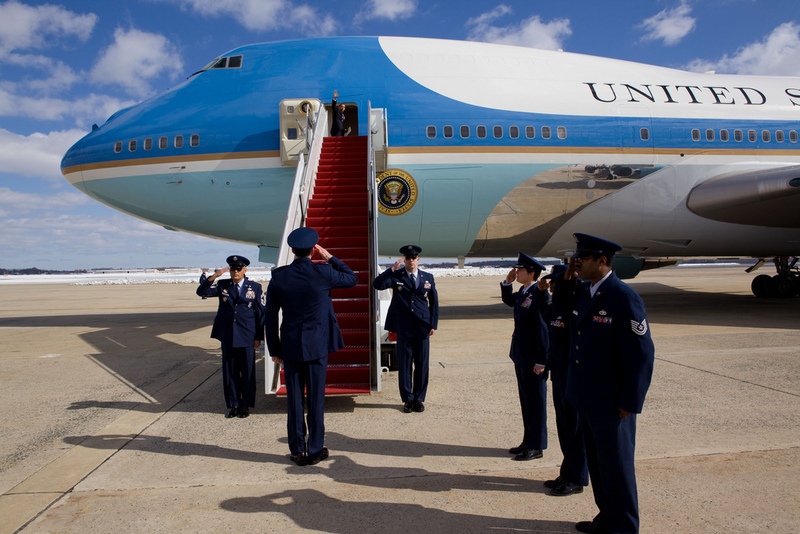 After twenty-five years of loyal service and countless worldwide treks, the current presidential plane, the Air Force One, will soon be retiring. The existing aircrafts, two 747-200B models by Boeing, have been in business since 1991 under George HW Bush. Though the planes have served valiantly, they are slowly becoming obsolete, as the jets are becoming more costly and environmentally unstable. At this very moment, the U.S. Air Force is hoping to make a deal with Boeing to secure a new plane that is more cost efficient, eco-friendly, and of course way, WAY bigger. The new model, which hasn’t been officially proclaimed yet, is said to be based on Boeing’s 747-8 model. US officials plan to use it as a frame for the new presidential fleet. Along with the standard features of a king-sized master bedroom, conference rooms, and a five-star kitchen, the 747-8 model will also come with some new and improved features which include the ability to refuel mid-flight. How is this done? Not entirely sure, but the fact that the president will not need to make a pit stop to grab more gas is pretty handy, especially since he has one of the most extensive and important schedules to keep. Also, the plane can deflect heat-seeking missiles. We hope and pray that this feature won’t have to be used, but given the slight circumstances that the president may be attacked during air travel, he will remain safe thanks to this amazing defense and security system fitted with the heaviest and latest technological gear. The plane can even withstand a nuclear blast! The plane is an estimated 6 stories tall from the ground to the top of the end tail and is longer than any passenger plane ever constructed. At over 250 feet long, which is almost 20 feet longer than a normal 747, this aircraft towers over the rest. It has more than 4,000 square feet of internal space, which is nearly double the size of the average home in 2014. The jet also comes with a longer fuselage and greater wingspan compared to its other past models. The old plane, which was without a doubt a gas-guzzler, costs nearly $180,000 an hour to fly. Yikes! The new 747-8 jet will have fewer carbon emissions and a smaller noise footprint when in flight. Not to mention, it will be much more cost efficient. It’s no wonder that this amazing gadget will not come cheap, but how much are we exactly talking about? Experts guesstimate that the new Air Force One model upgrade is expected to cost the U.S. Air Force $102 million and another $3 billion by the end of 2020. WOW! When Can We Expect This New Plane? According to the New York Times, the plane will probably not be ready until 2023, which if we do our math correctly, will be nearing the end of the 2016 president’s second term, or the end of their successor’s first. It seems that we may have to wait a while to welcome this arrival to the presidential family; however, we can full heartedly await its anticipation with joy and wonder. However, it’s always nice to be in the loop when it comes to our nation, so we sincerely hope you have enjoyed these few details about the new 747-8 Boeing model. 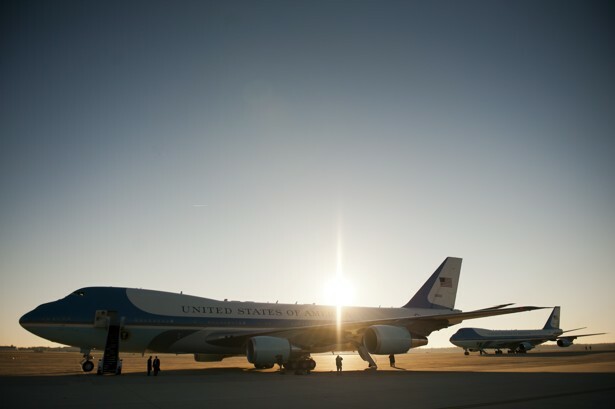 If you have any more comments or questions regarding the Air Force One planes (past, present, or future) we, at AeroFlite Enterprises, would love to hear from you. Please feel free to contact us either online through our contact form or give us a call at (714) 773-4251.